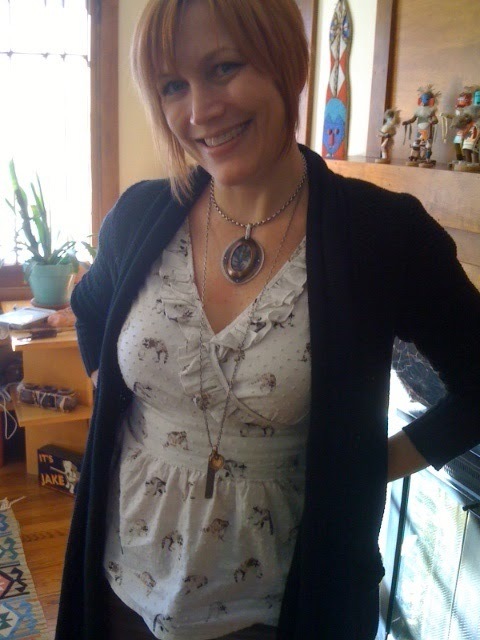 Heidi Meredith wearing a Dendritic Agate One-Of-A-Kind piece, and her "shema" tatt! Heidi Meredith. 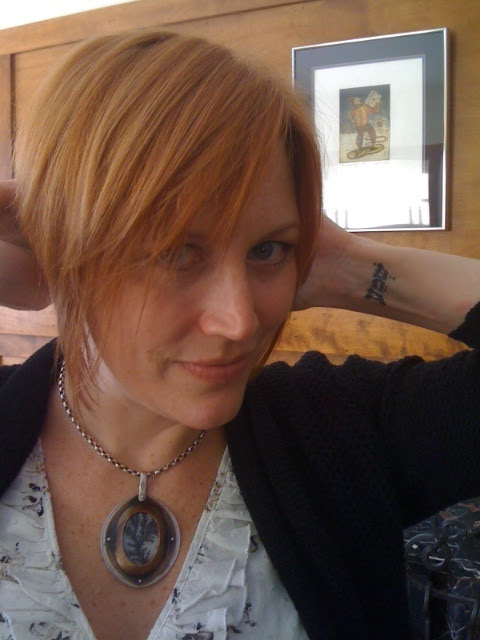 Psychiatrist, Mom extraordinaire, partner, musician, Burning Man babe, total woman of valor.... and so, so much more. Heidi listens, for a living and for life - a full, adventurous life. A graduate of Northwestern's Six Year Med Program, she started professional training when most are still figuring out what to do with their first degree. Medicine however, wasn't this young doctor's singular passion. While teaching herself guitar, she picked up the bass, put on Nirvana, and had every bass line down within minutes. She played nights with her band and spent her days.... well, listening, and treating, and steadily building what's now her own practice. The word for listen in Hebrew is "shema". It's also the first word of the most recited and important prayer in Judaism. After Heidi saw my "shema" pendant she decided to commit - in a seriously permanent way - to a tattoo! WOW! In these pics she's wearing a magnificent Dendritic Agate one-of-a-kind piece (her then fiance, now husband) Kurt gave her as a birthday present a couple years ago. For this Valentines day he bought Heidi a combination of pendants she's eyed for some time - "I Have Found the One in whom my Soul Delights" with the copper/silver "Keepsake Heart" . Yes! He also listens.